There are no eyewitnesses to Chambers Bay’s par-5 8th, the loneliest hole in major championship golf. Its sides are too dangerous for spectators, so fans aren’t allowed near it during the U. S. Open. Fans pressed against the right-side rails of the grandstand behind the 7th green enjoy a superb, up-close view of the tee shots at the 8th. To see the drives land, however, you’d have to swivel your head around like a possessed Linda Blair in “The Exorcist.” And once the players have trudged up this gradually rising fairway, they eventually disappear, as if into a mist straight from “The Twilight Zone.” We’ll have to rely on FOX to tell us where the shots went and whether players one-putted or three-putted. There’s no gallery roar to greet a birdie putt or a collective groan when an approach slips off the green. There’s nothing. The solitude of the 8th might be unprecedented in golf. Sure, you have the incomparable par-3 12th at Augusta National. Patrons, as they’re called at the Masters, aren’t permitted on the sides of the 12th green or behind it, nor above at the 13th tee. The look is great. It keeps the purity of one of golf’s greatest par-3s intact, with no grandstands or people moving about to distract the eye. Yet, fans can observe every shot struck on the 12th thanks to a grandstand and a hillside behind the tee. With a proper pair of binoculars, bunker play and slippery putts are also well within view. At Chambers Bay’s 8th, there’s no such view, even if you had a military-precision periscope. It’s hard to imagine any U.S. Open competitor being comfortable with making birdie and getting no love from the crowd. 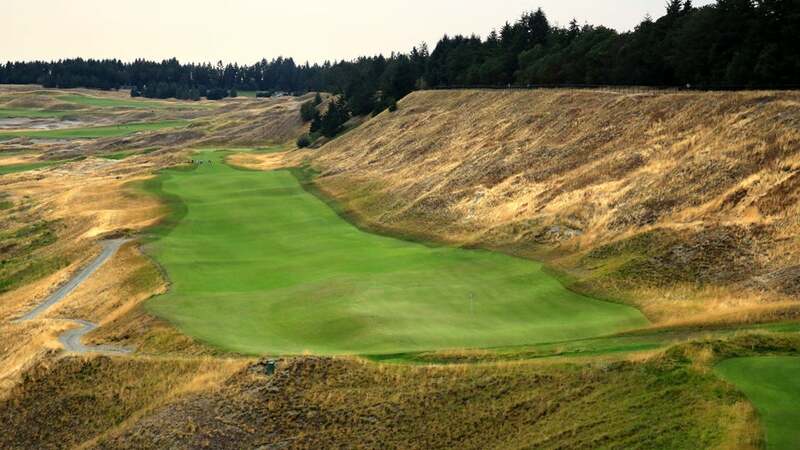 Yet, it’s understandable why the 8th at Chambers Bay basks in the sounds of silence. Chambers Bay’s architect, Robert Trent Jones Jr., explains why the 8th is so hostile to spectators, telling Sports Illustrated, “It abuts a quarry wall on the left and the mined-out quarry on the right.” In other words, the slopes are so severe on both sides of the fairway that it can’t support foot traffic or seating without risking calamity. That said, some architecture pundits believe the hole is better off without witnesses. The bunkerless, uphill slog is a beatdown, with a left-to-right tilt to the fairway, no framing or strategic hazards and nightmarish sidehill stances in the rough on either side. The USGA brass recognizes this is a weak link in the design. 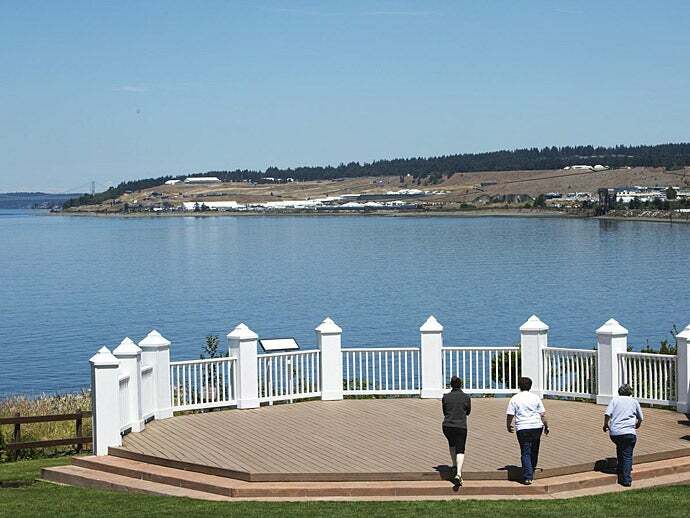 So did the late John Harbottle III, the Tacoma-based architect who lost the bid to Jones’ firm to create this course. After it was constructed, Harbottle tipped his hat to the final results, acknowledging there were 17 wonderful holes—and then there was the Number 8. Pop-Rock group Three Dog Night scored a Billboard Top 5 hit in 1969 with their version of “One is the Loneliest Number.” At Chambers Bay for the 2015 U.S. Open, the loneliest number is 8.